The other day someone told me that by the end of this season I will have clocked up 700,000km in travel while racing in ASBK. It’s only about 380,000km from Earth to the Moon! I first competed in 2006 but since 2012 I have raced every single round in the Superbike class, except where injury or mechanical issues have sidelined me. Maybe I should be committed to an asylum, but I love road racing. I’m a self-employed mechanic based in Perth, WA. I work on everything from motorcycles and cars to earthmoving equipment; anything to finance my racing. I also compete in the WA state championships and have won a few national titles in historic racing. Our team consists of my Dad Peter, mum Julie and my sister Anike. Dad does 90 per cent of it all and we try to make up the rest. He’s as mad about bikes as me and the national historic titles I’ve won (seven titles competing in five classes since 2003) are on all his old racebikes (two-stroke GP bikes from the 1970s, including a Suzuki RG500). Mum and Dad usually drive across from Perth for the rounds with our Yamaha YZF-R1 and I fly over, then drive back. It’s too shattering for me to drive and then race in a national championship. I’ll probably wind back a bit after this season. I started with the aim of a top-15 finish in the points table, but the way it’s gone I’ll be lucky to salvage a top 20. I suffered a serious back injury (broke four vertebrae in his lower back) training on a motocross bike and four weeks later, I fronted up to Darwin. 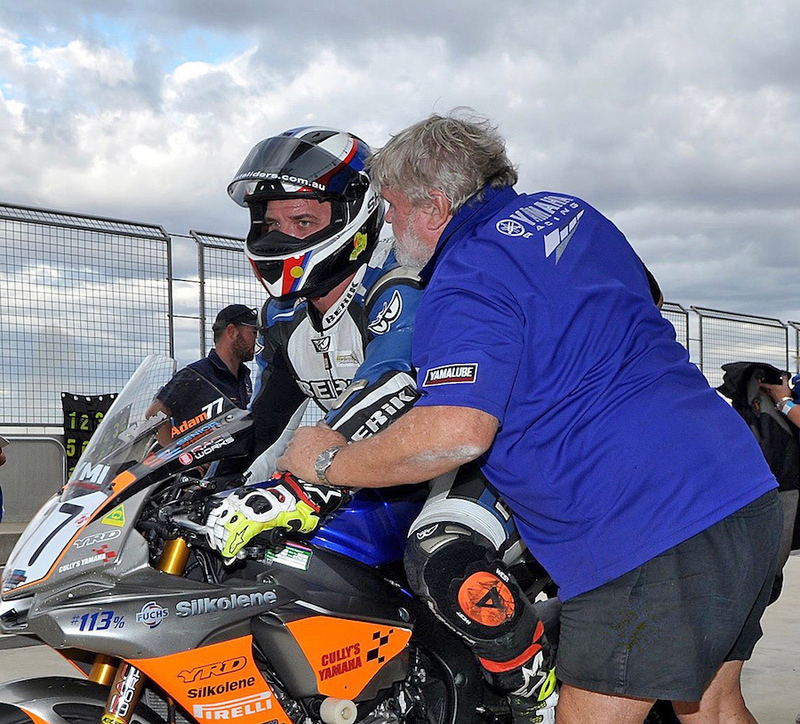 As we don’t have Barbagello available anymore there isn’t a long enough circuit in WA to properly test a Superbike. So I thought I was on the mend, but I had lost strength and mobility. I had to pull out of the meeting halfway through the first race. There was no way I was going to become a danger to anyone else out there on the track. I finished the next round at Morgan Park but I was still struggling. Looking back on it, I consider it was a bit of an achievement to return to the track so quickly. Having competed for so long as a privateer in the Superbike class means I’ve seen a lot of changes. The last couple of years the championship has really taken off. The level of competition has increased, along with the difference between factory teams and privateers. Just a few years ago I was top 10 (his best results were sixth overall in 2014 and fifth in the 2016 privateers’ points table). Now I’m going quicker, but I am further down the field! 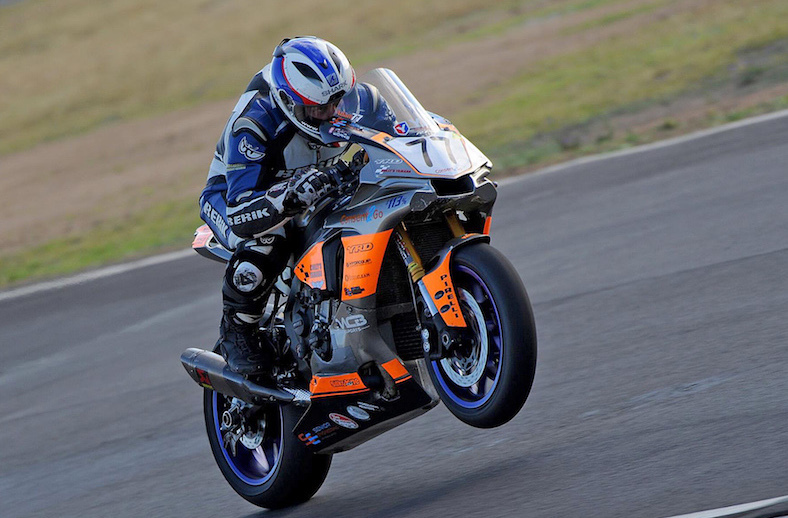 It was pretty impressive being part of the first motorcycle race meeting at the new international-standard The Bend circuit in South Australia. Its welcome centre is bigger than Perth’s airport terminal! Yamaha’s YRD program helps me with a discounted Yamaha YZF-R1 and parts. Perth dealer Cully’s Yamaha also helps with discounted products. 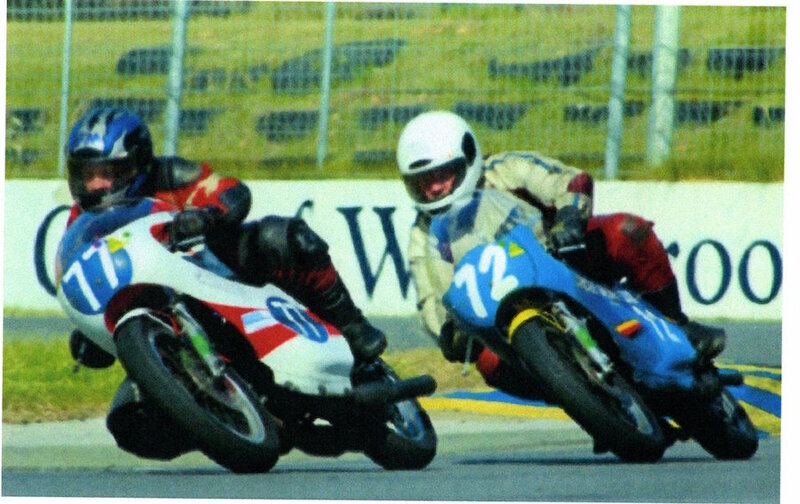 Owners Brian and Strett Cull were leading racers in WA back in the day. For years now Fuchs Silkolene has helped with oils and other products. And Graham Corey from GP Wholesale is another long-time supporter. I made a promise to myself to give it my best shot this year. So although I’ve had a few setbacks I will see the season out. Once that’s done I reckon we’ll have a bit of a quiet year. Maybe focus more on historic racing, which is a lot of fun. Our state is hosting the national historic titles in 2019. Whatever happens, you’ll see me out on the track on some motorcycle or another. It’s in our family’s DNA!